SK Global Chemical on Friday completed its acquisition of Dow Chemical’s packaging product business, the company said in a statement Monday. 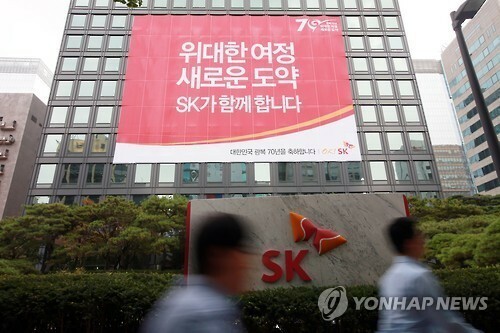 SK Global Chemical, the chemical unit of SK Innovation, signed a deal with Dow Chemical to acquire the US chemical firm’s polyvinylidene chloride (PVDC) unit in October. PVDC is used for clear film packaging including plastic food wrap. With the deal completed, SK Global Chemical now has full control of properties previously owned by Dow Chemical. They include Michigan-based facilities, related technologies and intellectual assets, as well as the trademark right to the plastic wrap brand Saran. The latest acquisition of Dow Chemical’s packaging unit is reportedly expected to reach some 82 billion won ($75 million). The sale price of the packaging unit is undisclosed by the company, as it is not legally bound to make a public report on deals worth less than 98 billion won or 2.5 percent of the company’s capital ratio. In September, the chemical affiliate of SK Innovation finished the transaction of Dow Chemical’s ethylene acrylic acid business for $370 million. The latest acquisition is in line with SK Innovation’s future strategy that aims to expand the company’s packaging and automotive materials businesses, the company’s officials said.